Last week I celebrated Thanksgiving in the US with my family for the first time in years. Since moving to Paris, I’ve enjoyed mixing cultural traditions. Franco-international-expat-American Thanksgivings have become my new norm – what fun! Still, in a year of many blessings, it was a gift to spend this holiday with my family. And oh the food! I’m not sure gourmandise would be the right word for what went down as it was outright gluttony. I literally cannot remember the last time I saw (and ate) so much food. The dessert table alone was outrageous(ly good). There was pumpkin pie and pecan pie and apple pie and cheesecake and cookies and and and…. A long holiday weekend wouldn’t be complete without tucking into a good book, as well. I read a great one and I’m so excited I get to offer a free giveaway copy to one of you, too. When journalist Ann Mah’s diplomat husband receives a three-year assignment in Paris it is a dream come true. He’s suddenly called to a new post in Iraq, however, changing drastically Mah’s reality of a new life in the City of Light. 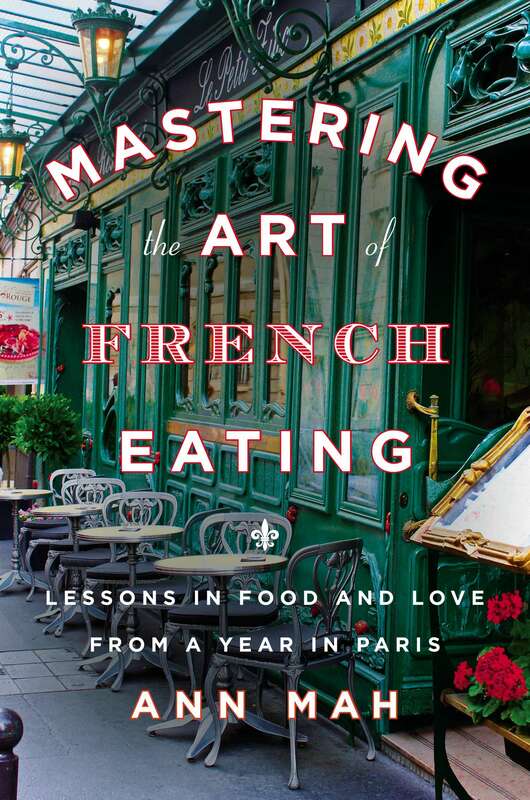 Mastering the Art of French Eating blends food, travel, and gastronomic history. It’s a lovely memoir that explores the stories behind many of France’s signature regional dishes, from crepes to cassoulet, choucroute to boeuf bourguignon. It’s also a personal story of navigating a new country, battling loneliness, and learning lessons in both food and love. The book has already gained much buzz, including being named a Best Book of the Year by Amazon and a best fall travel book by National Geographic Traveler. I’m delighted to offer a free copy to one lucky reader and to have Ann Mah on the blog for the occasion.